Thousands of years of development and refinement have seen Acupuncture (a common technique used in Traditional Chinese Medicine – or TCM) become a treatment mainstay for alternative and conventional doctors. It has been the subject of hundreds of scientific studies, consistently proving that health improves when people receive the powerful effects of Acupuncture. In fact, Acupuncture has become so widely accepted as a useful tool that many doctors (including me!) have been trained in the application of Acupuncture. In fact, I find Acupuncture a powerful tool in my arsenal to get you well. Imagine for a moment that all across your body there’s an unseen matrix – rivers and streams of energy flowing to and fro – in specific ways – nourishing organs and directing the flow of nerve, blood and nutrients, as well as Chi, to your cells. Imagine such rivers and streams flowed like light all over your body – you’d feel well, balanced and happy wouldn’t you? What do you think happens to this sensitive and delicately balanced energy matrix? Energy doesn’t flow as smoothly – it stagnates in certain places and energetic blocks develop. 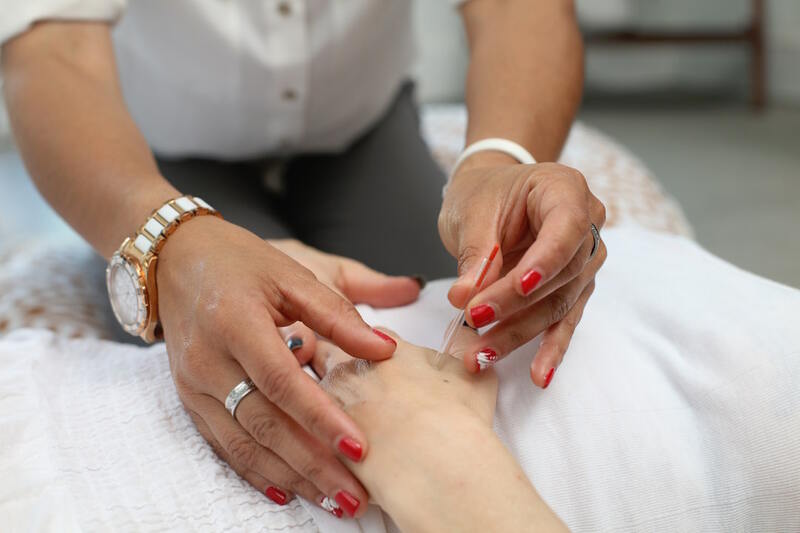 If you know a great Traditional Chinese Medicine (TCM) practitioner who is an expert in Acupuncture, then you can change this situation really fast – and get yourself back on track to feeling energetic, balanced and healthy again. Then you can start to heal and feel your overall health go forward in leaps and bounds. This is because Acupuncture works on ‘unblocking’ those energetic blocks in your Human Energy Matrix. The acupuncture needles are placed at very precise points on this matrix to redirect and clear the blockages to this Chi. 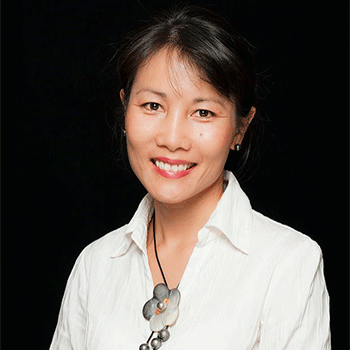 TCM Experts use a range of ancient diagnostic techniques (such as pulse testing) to find out where the blockages are – and then they clear them using very special, fine needles and other powerful techniques. When that happens, Chi flows easily and effortlessly once again – and health and vitality return. Today, I’d like to introduce you to my new favourite TCM Expert and Acupuncturist – Scott Shearim. 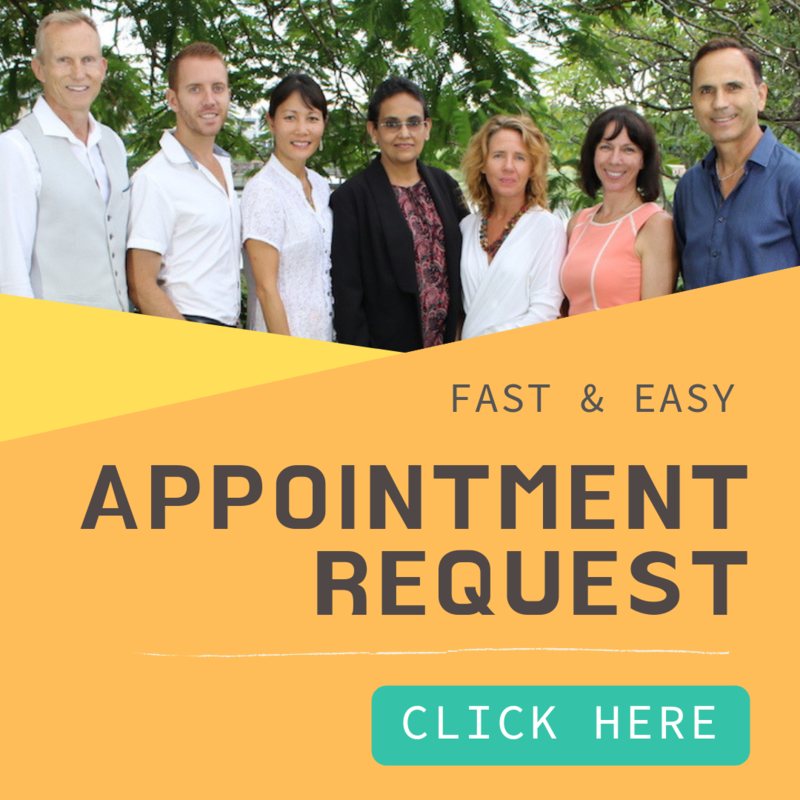 Scott has many years’ experience as an acupuncturist across Brisbane and the Gold Coast, and he has worked in many of the premiere clinics in South-East Queensland. 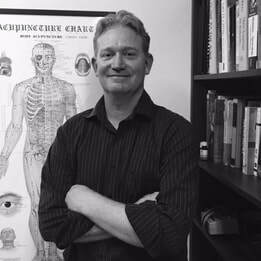 Scott is a fully trained and experienced TCM practitioner – with skills in Acupuncture, Cupping (specialised Chinese massaging using warmed glass cups to increase Chi flow), Moxa (the sweet smelling and warming herbs that are attached to acupuncture needles to increase healing) and Chinese Dietetics (among a host of other things!). 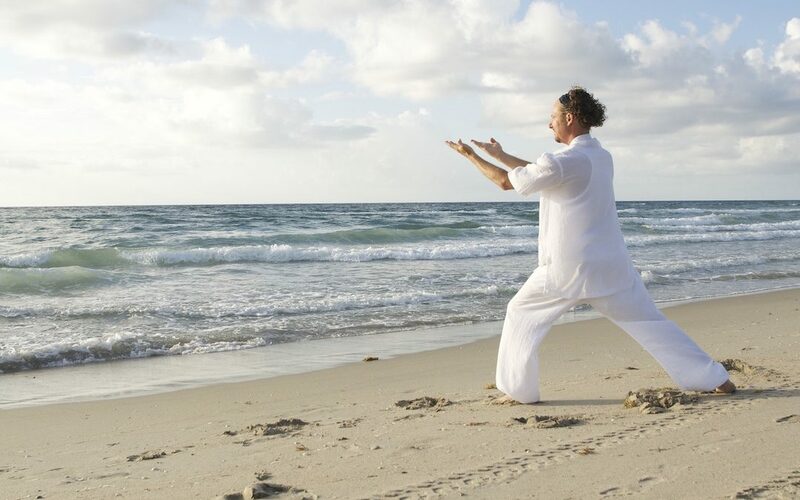 In addition, Scott is an experienced Qi Gong practitioner – and he has been a highly-sought after massage therapist for many years. And if that’s not enough – Scott is also a highly-trained and experienced Pastry Chef! Scott uses all his healing techniques in his sessions with you – so he can get you the very best outcomes possible. I’ve had my own personal session with Scott – where he used Acupuncture, Cupping and Moxa – in addition to his own specialised massage therapy. It was so relaxing! I felt supremely balanced and calm afterwards – I thought I was going to float out of the room! Scott did his treatment on me at exactly the right time – it was just after Christmas, and I was still feeling tight, stressed and unbalanced from a busy work year and the challenges of Christmas. Thanks Scott for doing such a great job on me! I know many people who are scared of needles – are you one of them? If so, relax – don’t worry – you’re in great hands! You can relax and feel calm because Scott only ever uses the very highest quality needles – which are made in Japan. They’re super thin and super fine – so fine in fact that I didn’t feel one needle go in when I had my session with him. So, if you feel a little worried – don’t be – Scott is incredibly careful, caring, supportive and expert – he’ll make your experience so gentle that you’ll hardly notice a thing. Scott also makes his own moxa – and for this he uses only the highest quality ingredients. Moxa helps enhance the power of the acupuncture and gently fills our senses with relaxation and calm. LOW ENERGY – if you’re suffering from feeling fatigued and tired all the time, then maybe your Human Energy Matrix isn’t working optimally. If you need some help to rebalance your Human Energy Matrix so that you can reduce pain, sort out your digestive issues, and increase energy and vitality, then why not call BGH today on (07) 5522 8902 to make an appointment to see Scott Shearim, our fabulous new TCM Acupuncture expert! But you’ll need to get in quick – because I have a feeling that he’s going to be busy! And please make sure you welcome Scott when you visit the clinic – I’m sure he’ll become a much-valued member of the BGH family.